When making your logo, you can be as simple or as outrageous as you want. It's going to represent your team so immature and vulgar logos should be avoided, not to mention it could get you reported. 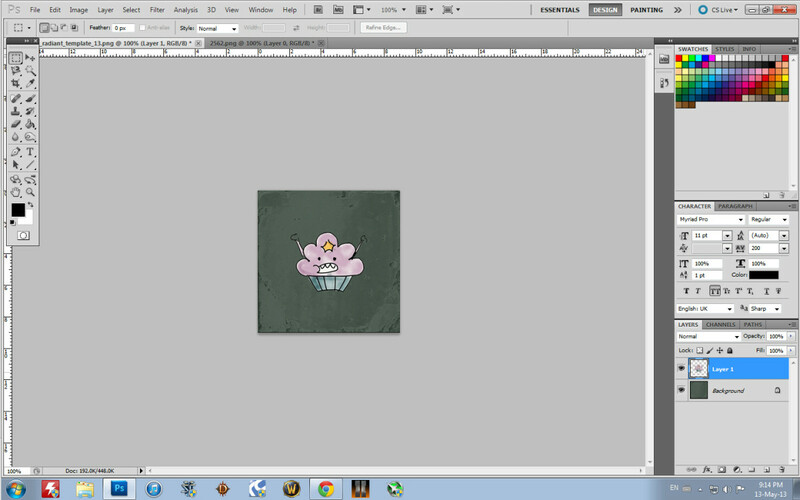 If you can, create your logo on a transparent background and save the file as .png. It'll make it easier to paste on your banners and base logo. Click on Create New Team on the Teams subsection. Fill up the Team Info and click Create Team. After your team has been created, you can access your team on the My Teams list. You can also create multiple teams. When you've finished, you can close DotA 2 for now. The base logo is the one found on the floor of your fountain and all around your base. The base logo should be easy enough. You can use a completely different photo without using the background provided by Valve, just make sure that the photo is 256x256 and is saved as .png. 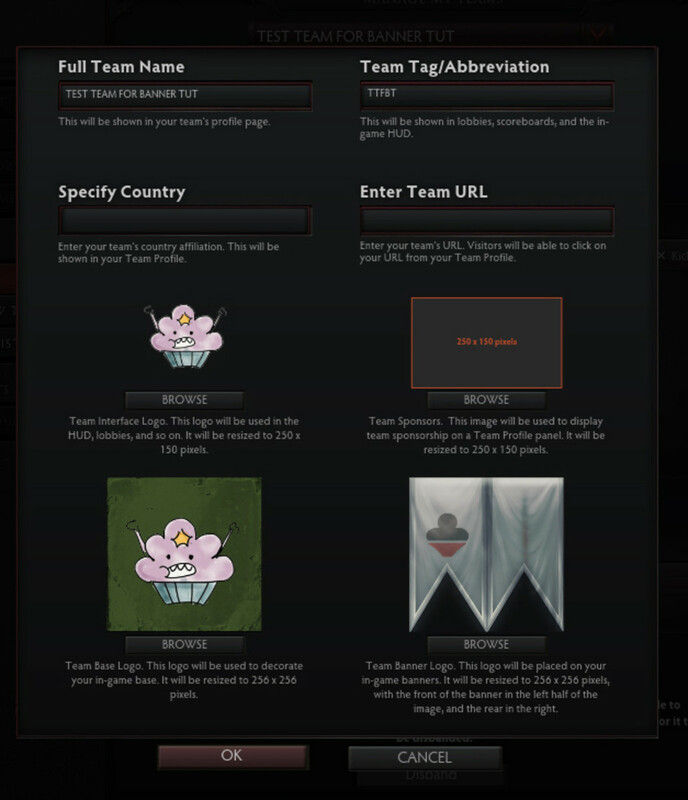 Open up the logo template folder from Valve and choose a base logo background. 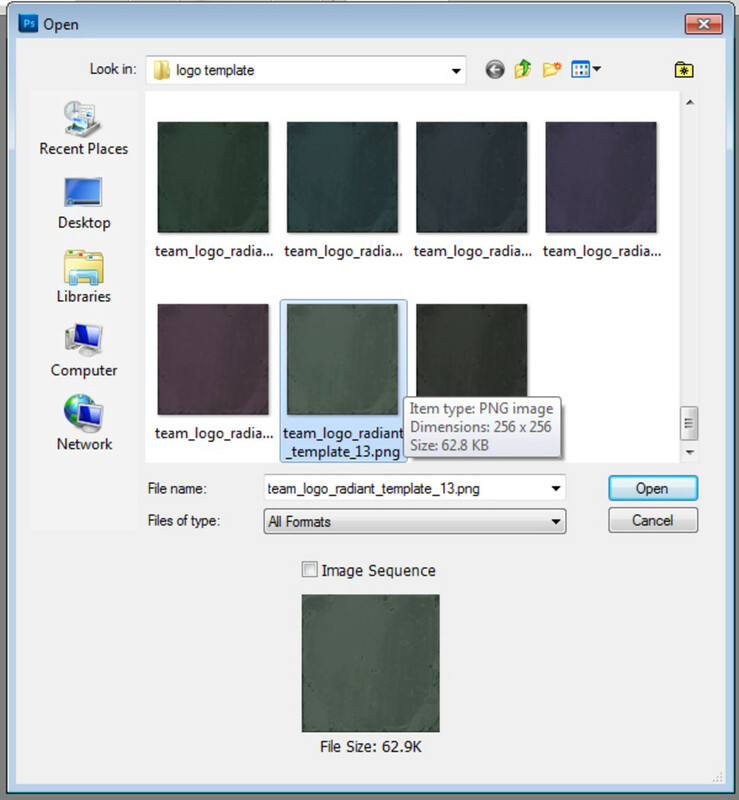 Generally, the files starting with team_logo are the ones to choose from. Try to choose a background that goes well with your logo. 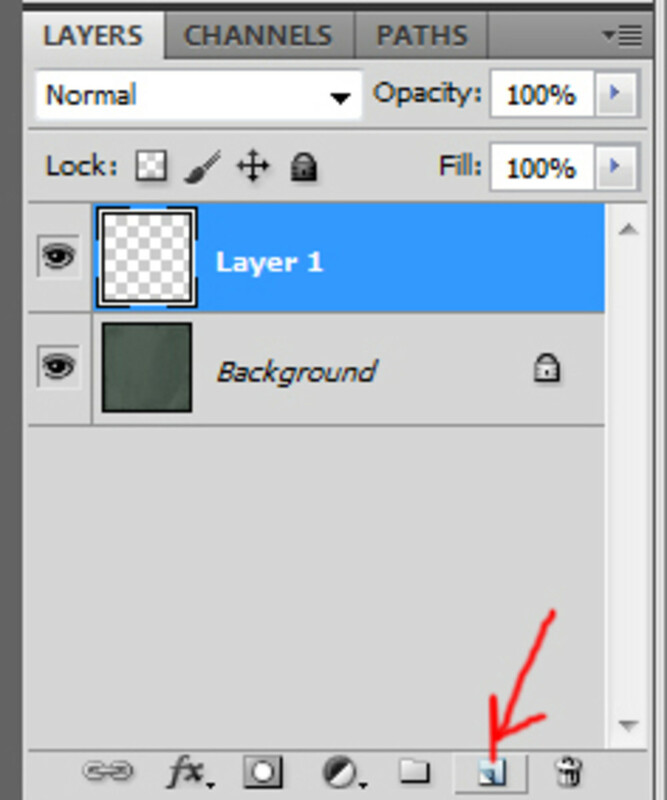 Once you've chosen your background, create a new layer by clicking the button the red arrow is pointing. 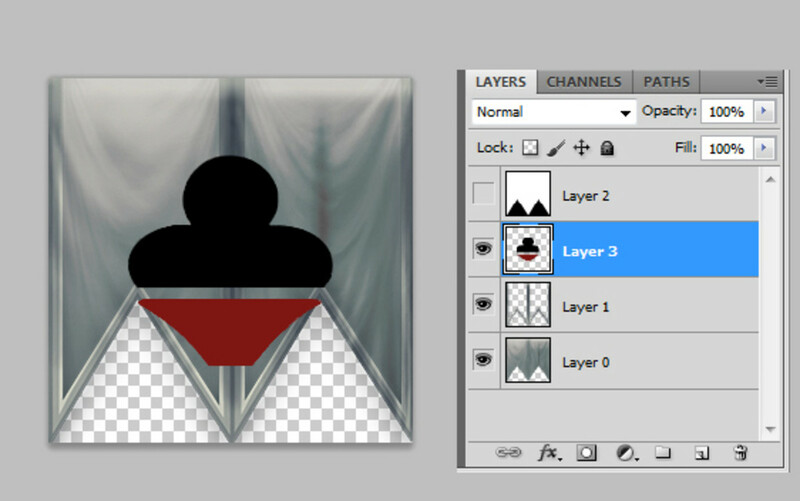 Open your logo, copy and paste it on the new layer of the base logo background you've opened. Press Ctrl+T if you need to resize your logo. After you're satisfied, click File, Save As then save the photo as a .png. Making a team banner is a little different from the base logo. 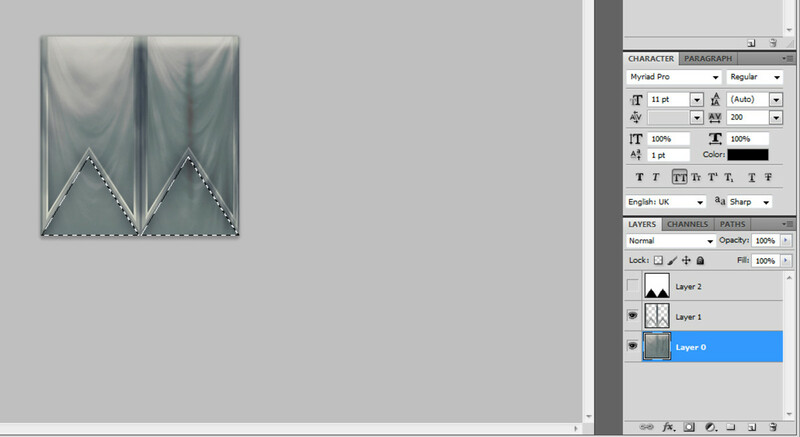 If you noticed from the banner background files, the image is split into two. 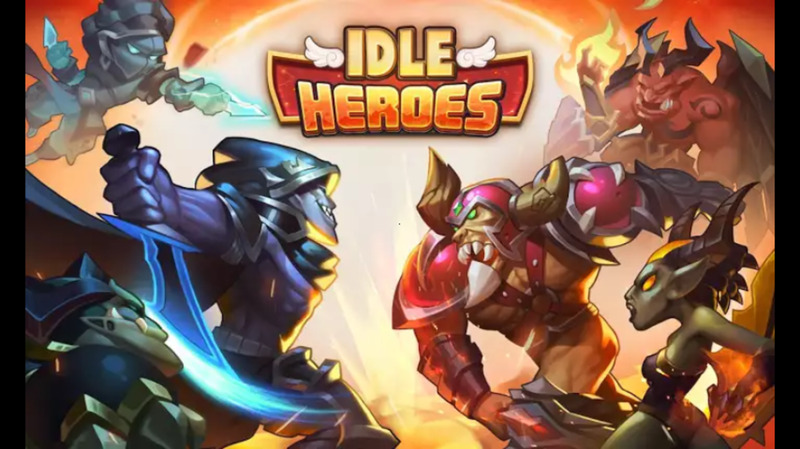 The left side is used as the front of the banner while the right side is used as the back. Usually, we just put the logo on the left side since the back side is rarely visible. From the logo template folder, Choose a banner background and border. 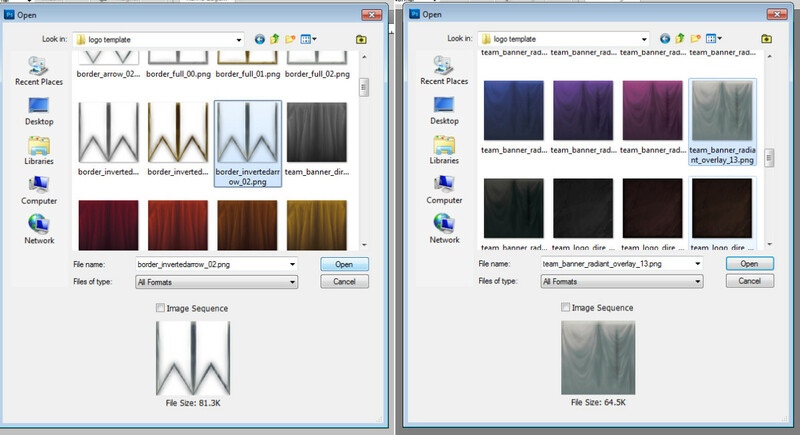 The banner background are the files that start with team_banner_while the border starts with border_arrow or border_inverted arrow. Take note of the border and whether it's inverted or not. 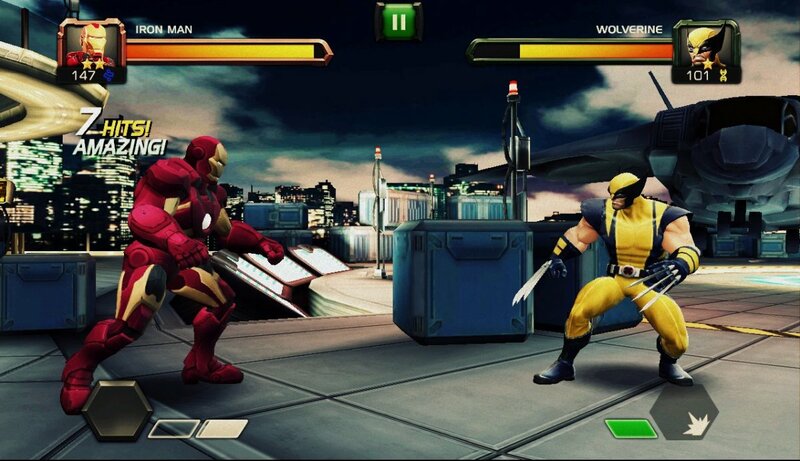 Depending on the border type that you have chosen, open the alpha file seen here. I used an inverted arrow border and therefore am opening the inverted arrow alpha file. Copy the border and alpha files onto the banner background. The standard Select all (Ctrl+A), copy (Ctrl+C) and paste (Ctrl+V) works in Photoshop so you can use that to make things a bit easier. Make sure the order of the layers are as shown. If it's not, drag the layers around in the layer menu so that it looks like this. 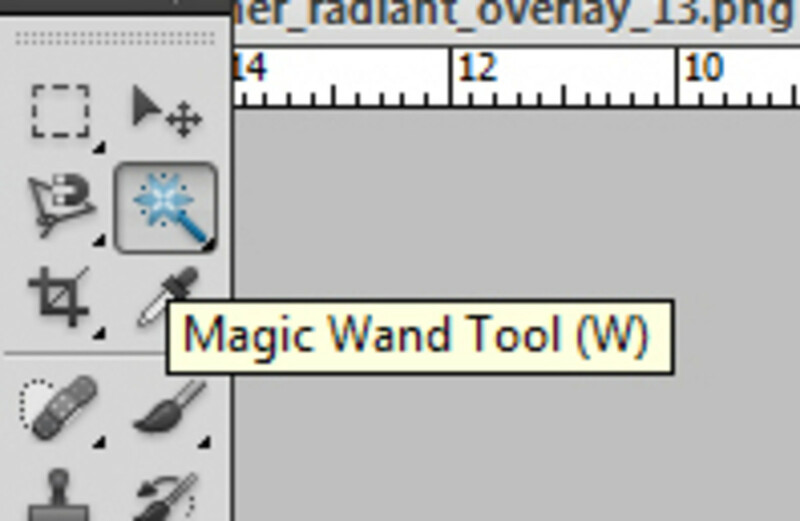 Select the Magic Wand tool from the tool list. 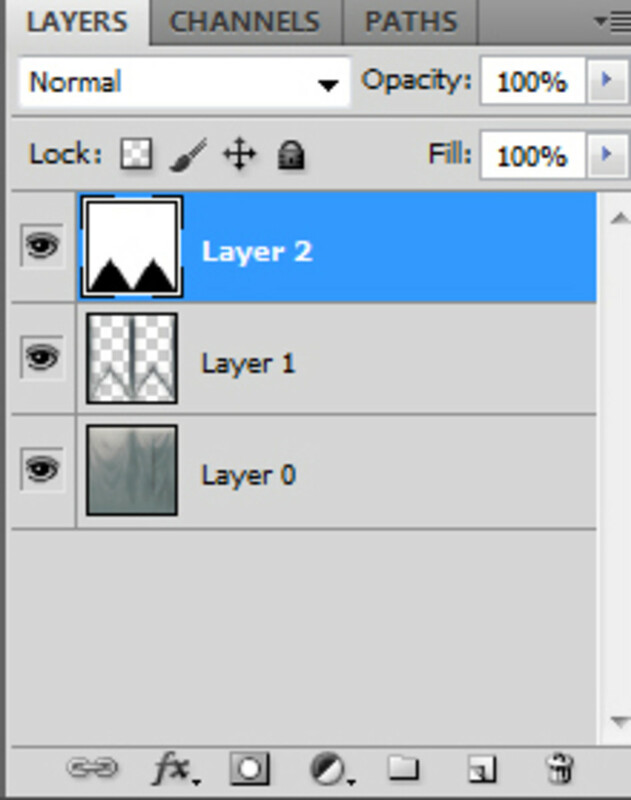 Now go to the layers menu and click on the alpha layer (the one with the black triangles). 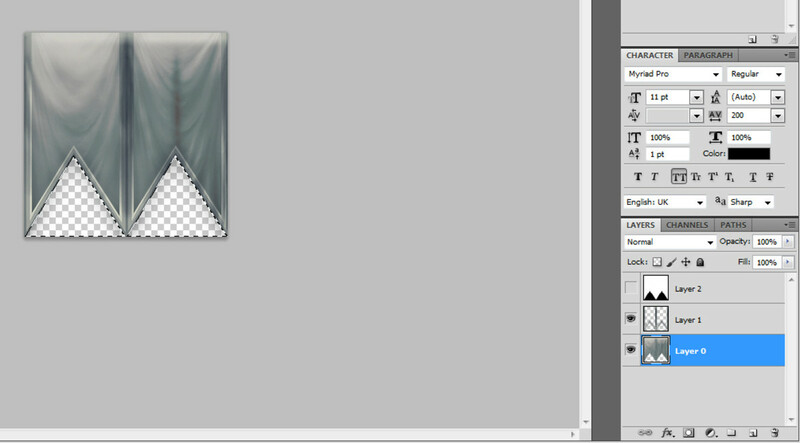 With the Magic Wand tool, Ctrl+Click all the black triangles. There should be marching broken lines around the triangles as shown. If you make a mistake, deselect by pressing Ctrl+D. After selecting all triangles and without deselecting or clicking anything else on the picture, click on the eye button of the alpha layer to hide it. The eye button is next to the image preview in the layers menu. 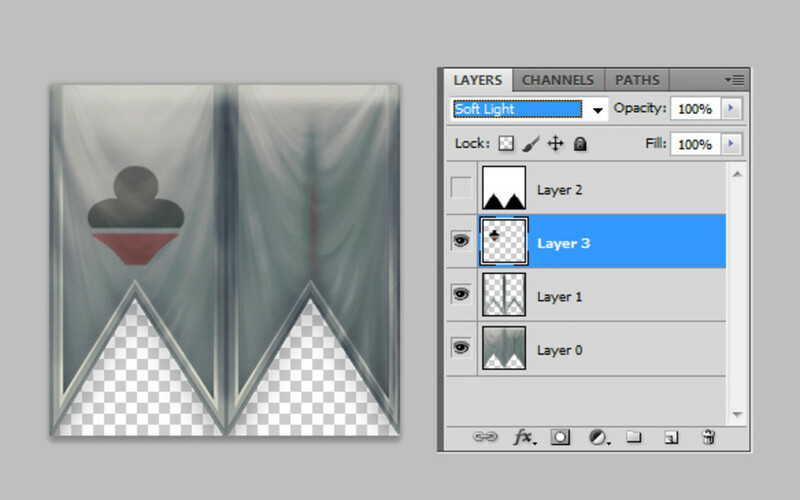 Again, without deselecting the triangles, click the border background layer in the layers menu. 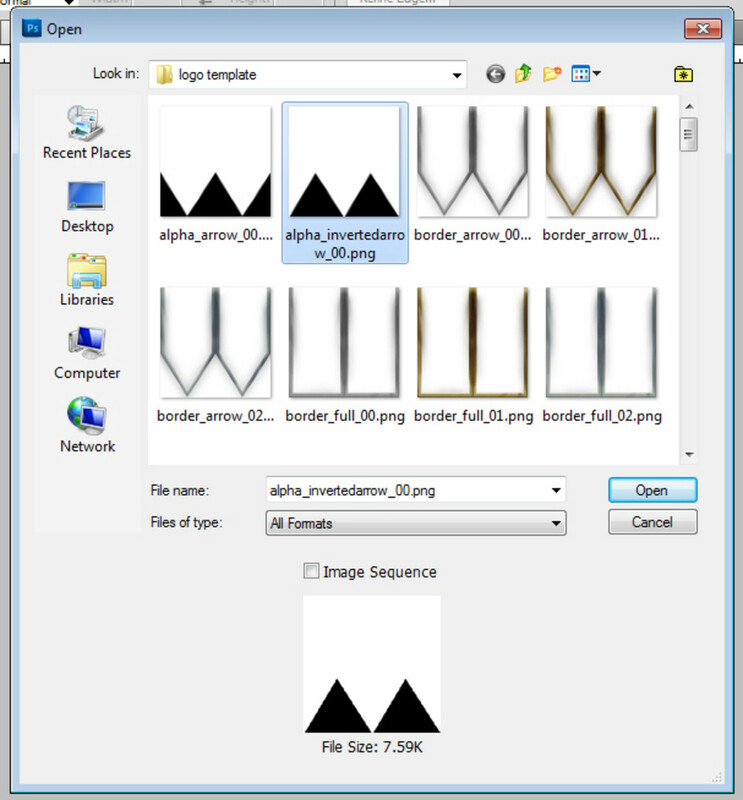 With the border background layer selected and still without deselecting the triangle selections, press delete. It should look like this. After deleting the excess background, deselect by pressing Ctrl+D. Open, copy and paste your logo onto the banner background file. 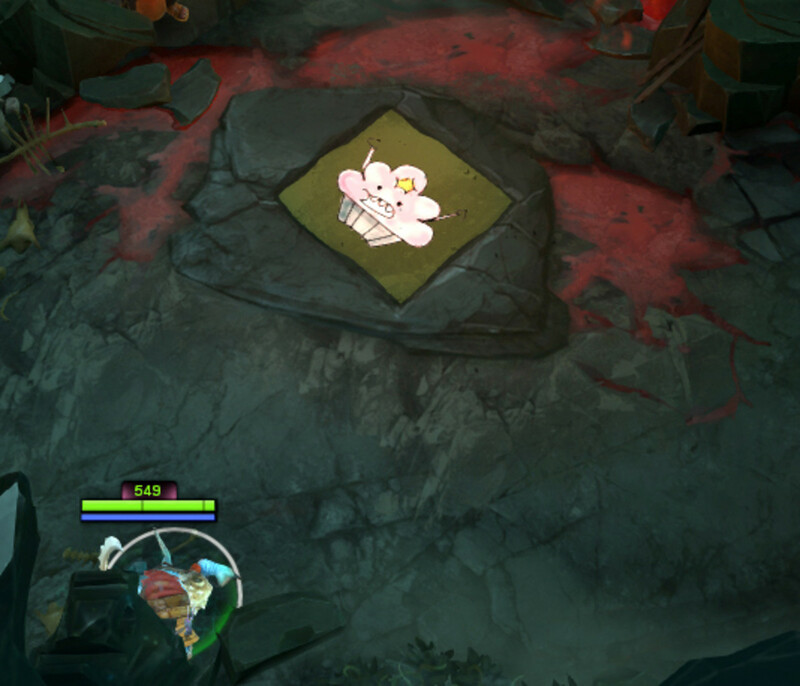 This logo is from our group of friend's clan called Cupcake Conspiracy. From then on, you're done. If you want, you could experiment with blending options found at the layers menu. Here, I used a soft light blend to make the logo look like its part of the fabric. Once you're satisfied with how the banner will look, save it as .png as well. It's now time to upload the logos to your team page! 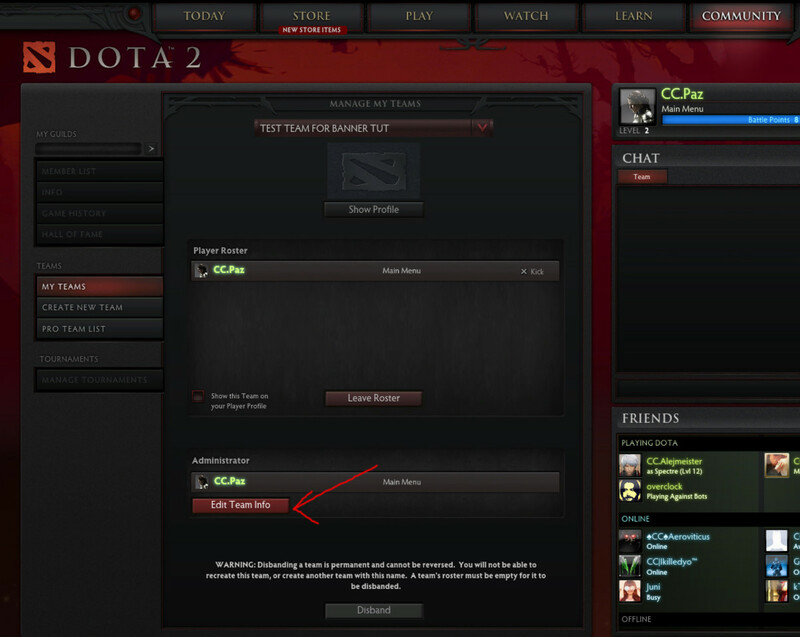 Start DotA 2 and go to the Community tab. Click on the My Teams button and then click on the Edit Team Info button. You should see a screen like this. Upload the files to their respective places. I left the sponsors logo alone but if you have sponsors, feel free to upload their logo here. 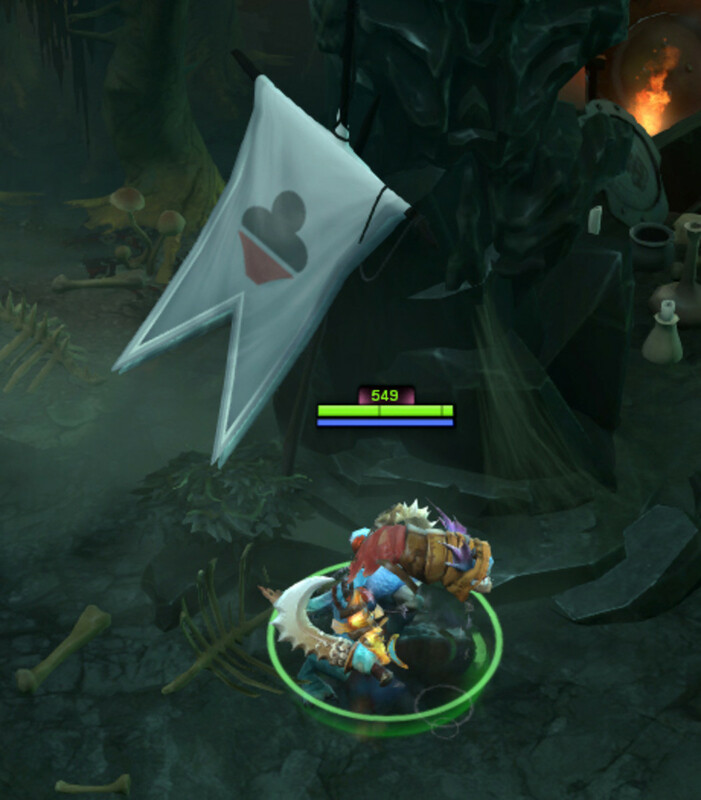 The Interface logo is the one that appears on your DotA2 Profile. Simply upload your logo there as well. To test it out, create a custom lobby and join either the Dire or Radiant side. An arrow should appear like the one below. Select your team from the drop down. The Radiant logo and name should be replace with your team name and logo. After that, just start the game! This is the base logo found near your fountain. And this is the banner. Both base logo and banner photo sizes should be 256x256 pixels. The banner photo is divided into two and the left side is the front side of the banner. Have fun! If you have any questions, feel free to leave a comment below. how to make a background and alpha.. ? my file size is 400kb and i'm not able to put the team banner what file size should it be ? I can't find my photo that i made , i went to edit my team profile and i can't find tge photo. Can you make a tutorial with this except on Gimp? I don't have photoshop. yes its only for lobby and team matchmaking only. it's not enabled in normal matchmaking, unfortunately. Is it only appearing for lobby and team matchmaking only? How about normal game or practice with bots..can we enable for all of the matches? hey what version is that adobe photoshop, im using adobe photoshop 10 and i don't know how to use it. any idea ?? can you upload your backgrounds and templates? 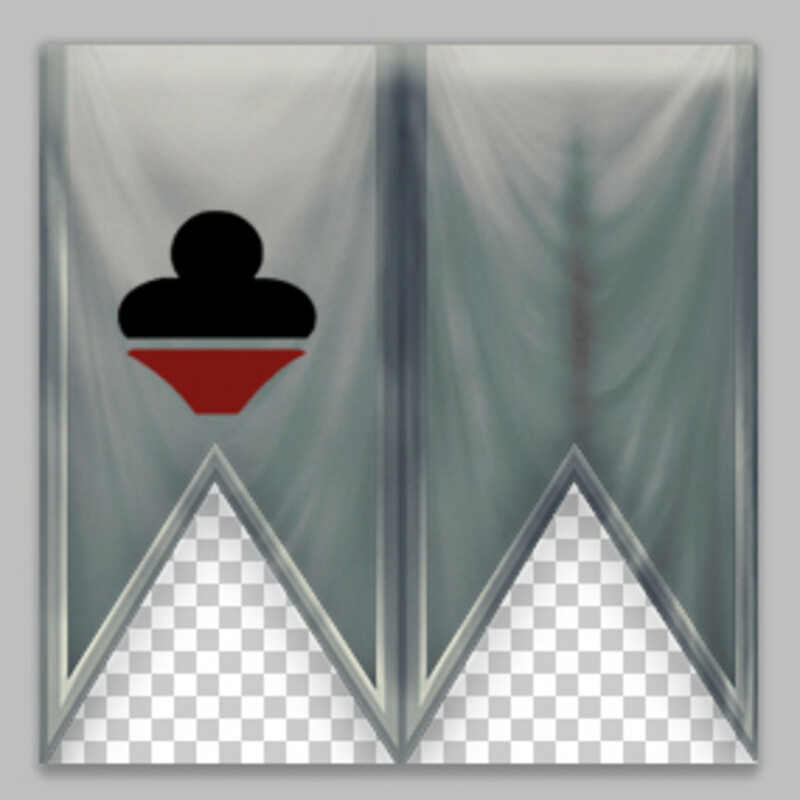 i'll make my team flag but don't have bg's and templates.. Sometimes the banners take a bit of time to appear in game, how long are you waiting before remaking a game? Hi, i manage to do everything correctly but as i start a lobby match, my teammate can't seems to see it (including me). But the moment they leave, my banner appears instantly. Anyone has any solution to this? May I know what application u use to edit photo such as stated above? When you're playing team matchmaking, it should automatically set to the right logo. If you're making a lobby though, remember to change the team name when you're in the lobby. 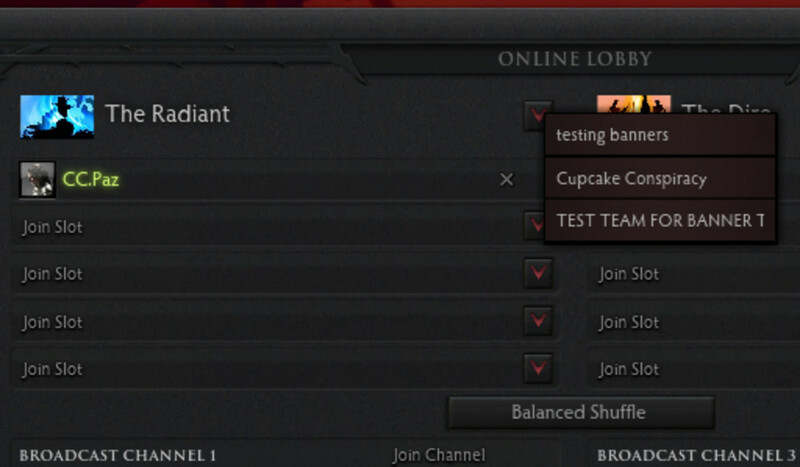 There should be a drop down arrow next to the Radiant or Dire when you're inside a lobby. You can choose your active team there. When I go into a game by myself I see banners but if I go in with team or bots it doesn't show any ideas to fix? Hey luciano. I unfortunately don't know how to make a video. lol. 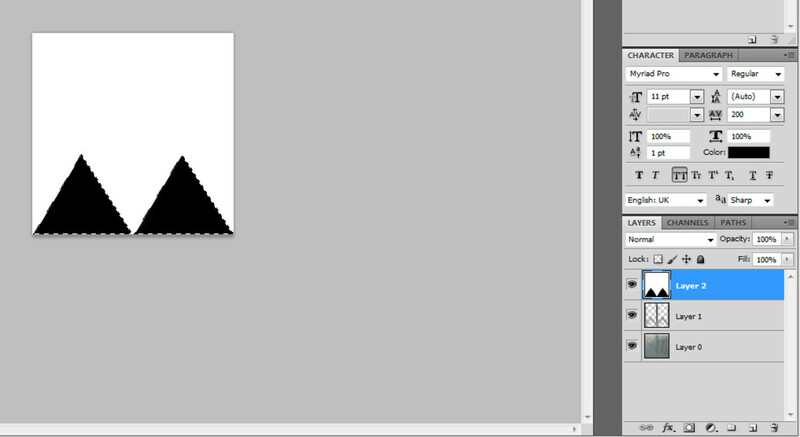 About the triangle in step 5, make sure that the layer selected is the alpha (black triangle) layer. teria como voce fazer um video de vc criando os baners e tal ? Hello Warez! Sometimes the Valve servers are a little laggy and it bugs out the team creation menu. When this happens, I just try to try until it works! Also, try restarting DotA2. I choose an image for the sponsor logo but now that image its shows in baselogo and banner logo. But when I create a bot match not a single one logo appear! Mr. Darkness, I've asked around and tried it myself. The banner system IS a bit buggy lately and when I tried to upload new banners, I got exactly what is happening to you. 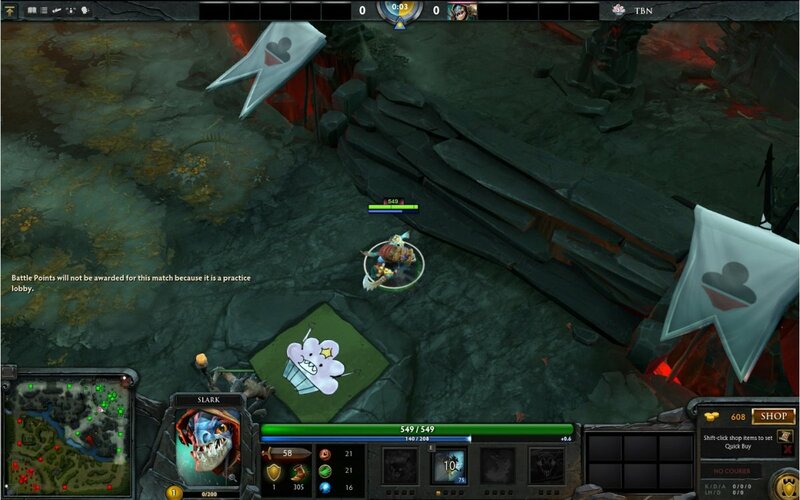 Apparently, it's Valve's fault, probably something they messed up with the new patch. Should be fixed soon, I hope. Thanks for your time! Hm. When you press OK, there should be a dialog box that would appear that says 'Editing Team' and you have to wait for it to change to 'Success'. Sometimes the Valve servers are a bit buggy and you have to do it multiple times. Also, be sure to check that the picture size is 256 x 256 pixels and that you saved it as PNG. And make sure you've uploaded to their right places! Hey, I have a question actually. I created my team, added a banner, a logo etc. The problem is, whenever my logo and stuff is being applied, they just disappear from my edit team info. And when I try to check how it works in-game, it just won't appear at all, however in team profile I can see the logo perfectly. Any ideas?